CLEARWATER, FLA.–Right-hander Keith Felder of the Slam warms up at Jack Russell Stadium on Sunday morning September 30, 2012 in the over 35 baseball league. Felder entered the game in the bottom half of the ninth with the bases loaded and holding a 5-4 lead over the Angels with one away. The Slam got the innings second out on Felder’s first pitch but a fielding error on the next hitters stroke allowed two runs to score for the 6-5 final. 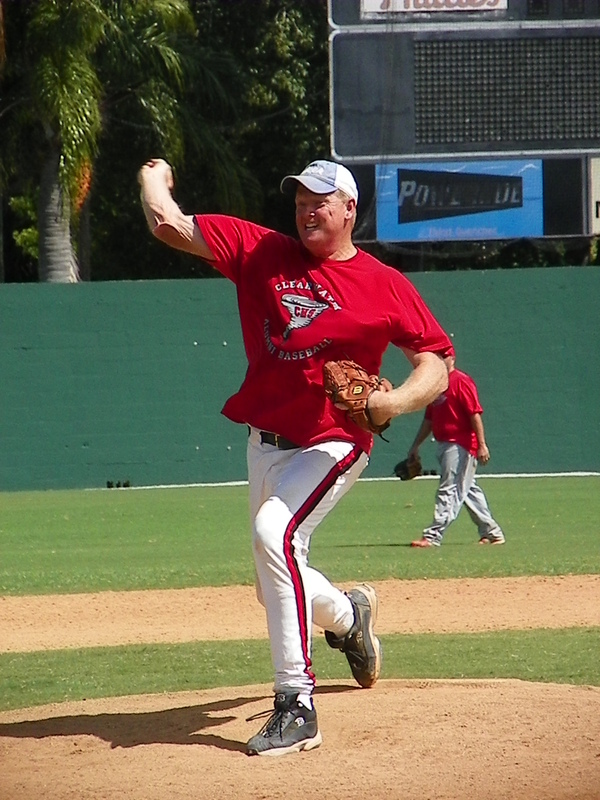 Felder played in the low minors for the Toronto and Chicago (AL) organizations in the late 80’s. 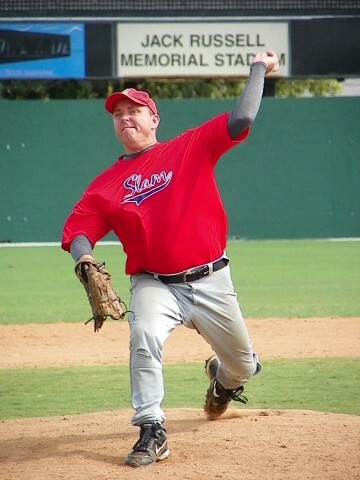 Slam’s reliever Eric Larson was cruising along with an inherited 5-0 lead until the ninth when the wheels came off Sunday morning September 30, 2012 at Jack Russell Stadium. Larson was charged with the loss as the Angels plated six runs in the bottom of the ninth for a 6-5 win.